The hexane extract (concrete) of young male flowers of American willow (Salix discolor Muhlenberg) was analysed by gas chromatography. Beside the waxy compounds, the main detected constituents are floral-scented alcohols and salicylaldehyde. The results are a good example of the usefulness of processing concretes into absolutes. Figure 1. Close-up of Salix discolor male flowers. The yellow color arises from the pollen at the tip of the protuding stamens. 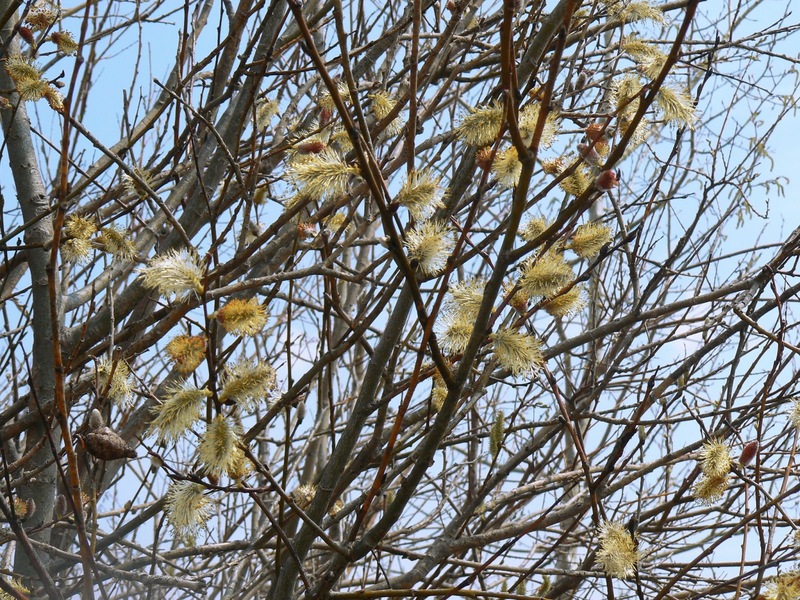 In our region, one of the very first plant to bloom in spring is Salix discolor, commonly known as American willow. 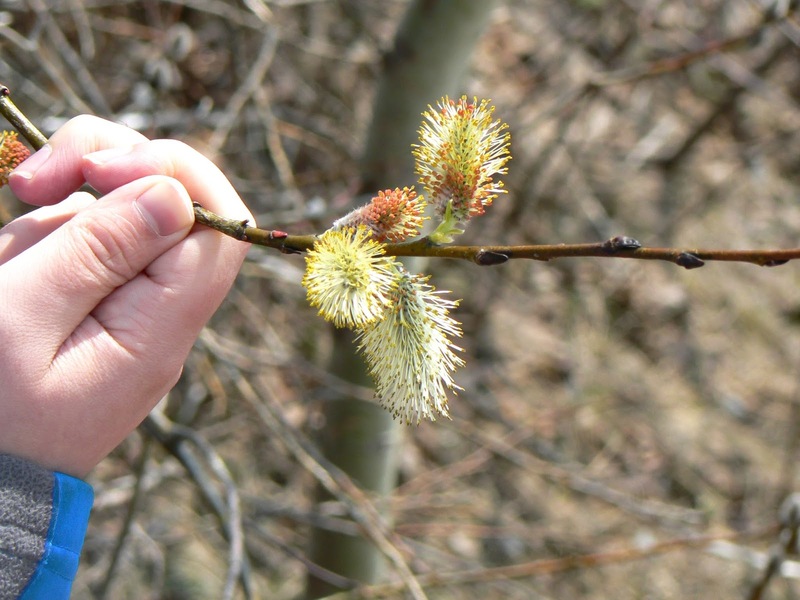 This bushy willow's female individuals bear greenish catkins, while their male counterparts exhibit bright yellow catkins (figure 1). These flowers, showing before the leaves, cheerfully color the otherwise dull colored landscape of our early springtime (figure 2). The latter also bear a subtle floral scent. Yet, flowers often contain so little volatile compounds (the odor treshold itself is not always a good indication of yield) that essential oil extraction requires tremendous amounts of plant material, as for rose or neroli. In order to get a quick idea of the compounds responsible for the willow's aroma without collecting kilograms and kilograms of flowers, we submitted a handful of fresh male flowers to extraction with hexane for 48 h, followed by concentration of the sample under vacuum and analysis by gas chromatography. 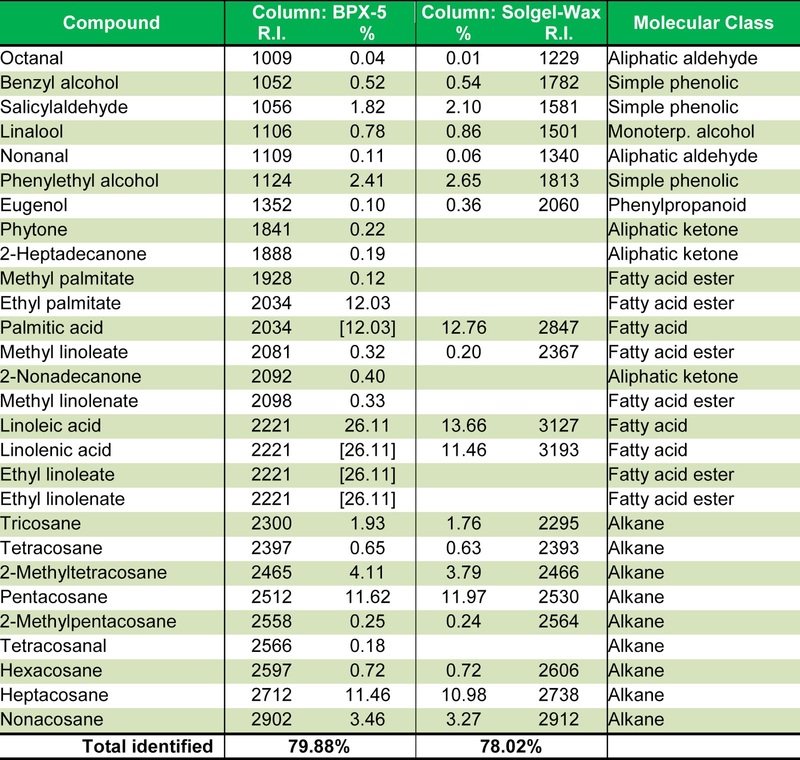 The results (Table 1) are quite typical for such non-polar fragrant extracts, also called concretes in the perfumers' vocabulary. Volatile molecules are often quite non-polar, a feature which in general lowers boiling points (as previously discussed here). Thus, hexane or cyclohexane are good solvents to extract them, on the "like dissolves like" principle. These solvents also have a high affinity for less volatile, heavy non-polar compounds, including waxes and fatty acids. These constituents are not often found in essential oils, except for special cases (such as rose essential oil, and I will come back to that later on in these pages), but plenty in concretes. In the present case, waxes and fatty acids account for over 74% of the total detected compounds. Here, "wax" refers to any compound featuring mainly a long carbon chain, with only a few other features. As pure molecules, they have a waxy texture, as opposed to crystals. The most abundants waxes (also called paraffins) are the alkanes, simply named from the number of carbons they contain following the standard chemical nomenclature: tricosane (23 carbons), tetracosane (24 carbons) and so on up to nonacosane, in this case. These molecules are often abundants on the surface of flowers and leaves, as their hydrophobic nature contribute to limit transpiration and loss of water in the environment. They also protect the soft tissues from weather and bruises, just as a wax-coated raincoat. Waxes can also include aliphatic ketones (such as 2-nonadecanone here), aldehydes (like tetracosanal) and alcohols (none found in this case). The fatty acids, for their part, may either come from disrupted lipidic cell membranes or a small fraction of vegetal oil present in the flowers. It is likely that upon hydrolysis, more fatty acids would be release from triglycerides, which are so non-volatile that they can not be detected by gas chromatography, but were still likely extracted by hexane. Figure 2. Male flowers of a bushy individual, showing before the leaves. The flowers' scent in itself comes from the few more volatile compounds reported, mainly phenylethyl alcohol (scent of rose), salicylaldehyde (scent reminding that of some medicines), linalool (floral, rosewood scent) and benzyl alcohol (also floral-rose scented). This shows that a concrete by itself contains a lot of unwanted compounds, which do not contribute to the aroma at all. This is why perfumers in general prefer to use absolutes, which are concretes dissolved in ethanol and filtered, leaving behind all insoluble waxes. Had we pushed the experiment to this level, we would have likely observed an extract much richer in floral-scented alcohols, and possibly detected many minor compounds which are currently "diluted" by the high wax content. In conclusion, the floral scent of male Salix discolor flowers arise from typical floral-scented alcohols.